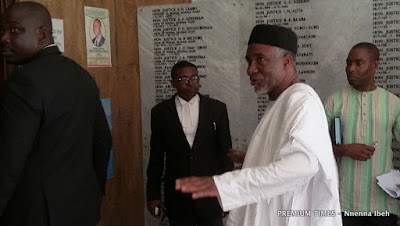 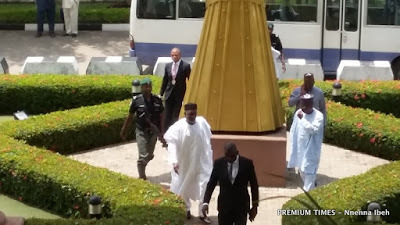 The former governor of Adamawa State, Murtala Nyako, and his son, Abdul-aziz, were on Wednesday arraigned at a Federal High Court in Abuja on different cases of alleged corruption. 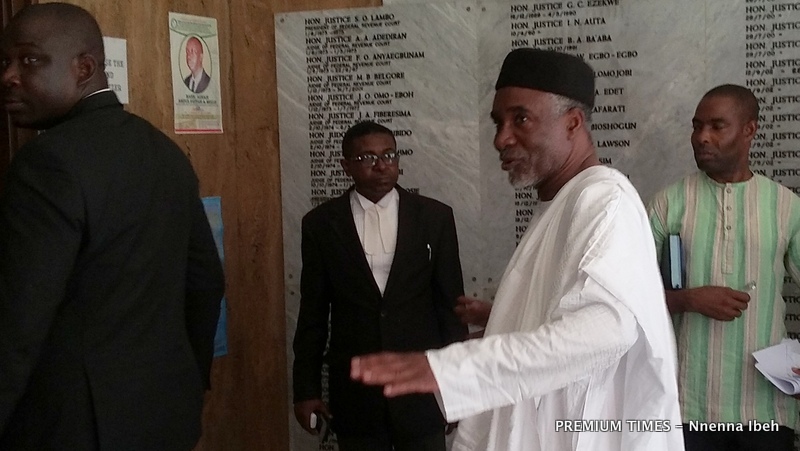 The prosecutor, Economic and Financial Crimes Commission, accused the two Nyakos of stealing, abuse of office and money laundering. 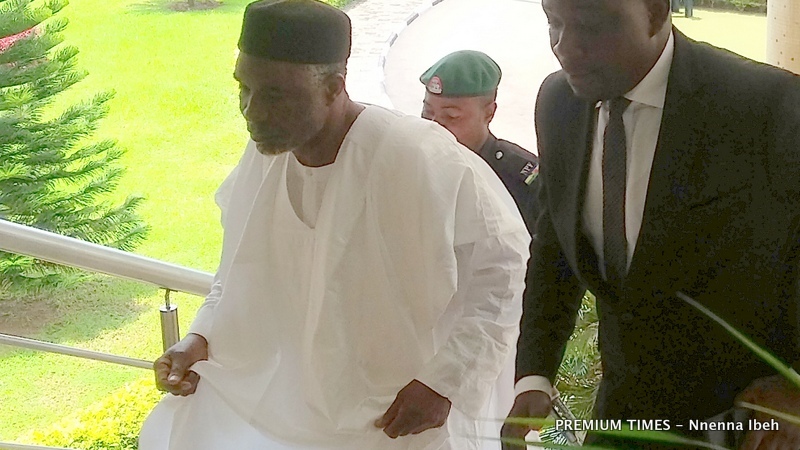 Abdul-aziz Nyako is currently a senator. 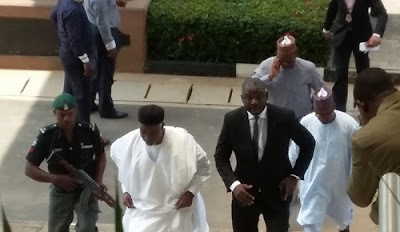 Photos after the cut showed the moment both father and son arrived the court. 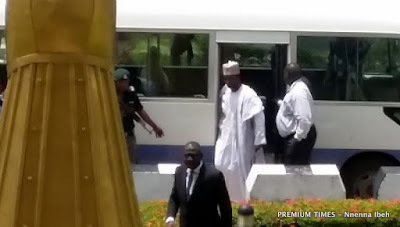 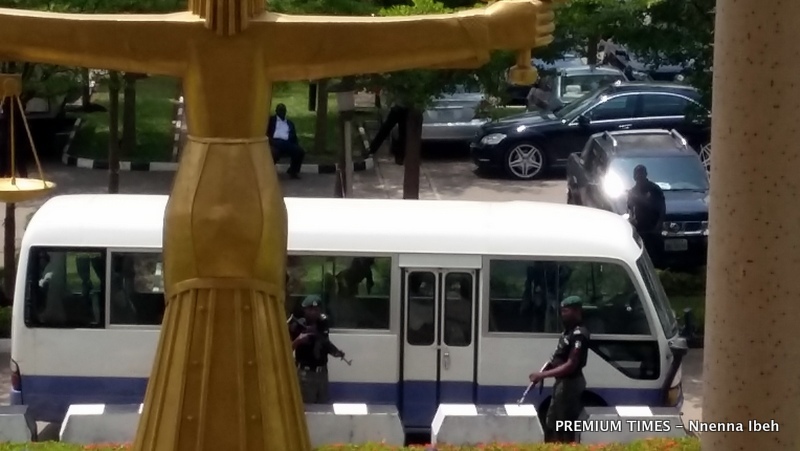 The court ordered that they be remanded in EFCC custody.